Pigment, (my favorite shop in San Diego) is hosting neat little craft events that make me feel like a Girl Scout all over again. Yes, the prices are a little inflated but materials are provided and you leave with a goodie bag. 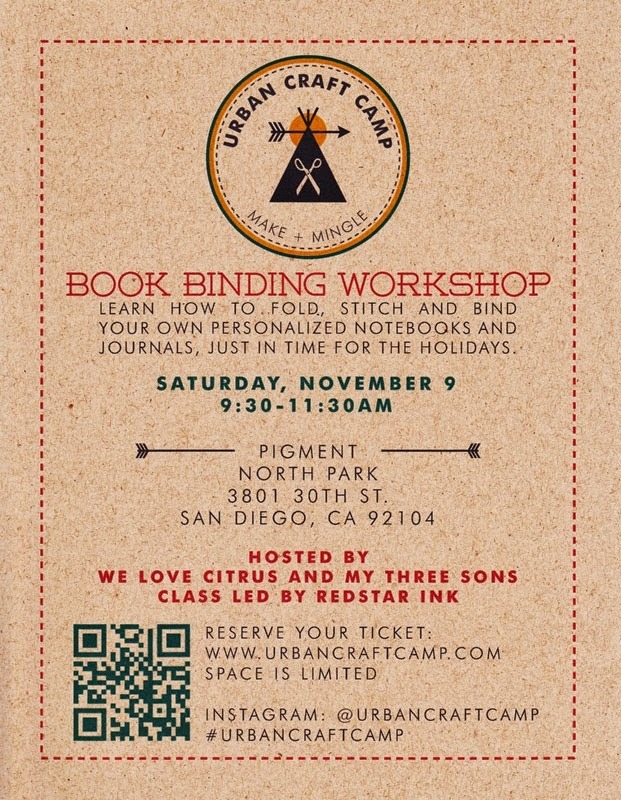 The next craft camp is November 9th, book worms unite!